Whether we have beautiful baby blues, rich brown eyes or vibrant green eyes is due to the amount of pigment in our irises. When a child is born, they often have blue eyes initially (since the pigment is yet to be produced), which end up changing as they get older. If you can remember back to high school science class, you may remember the term “allele.” Basically, an allele is “one of two or more alternative forms of a gene.” A baby’s eye color will be determined by whether their parents’ alleles are dominant or recessive. 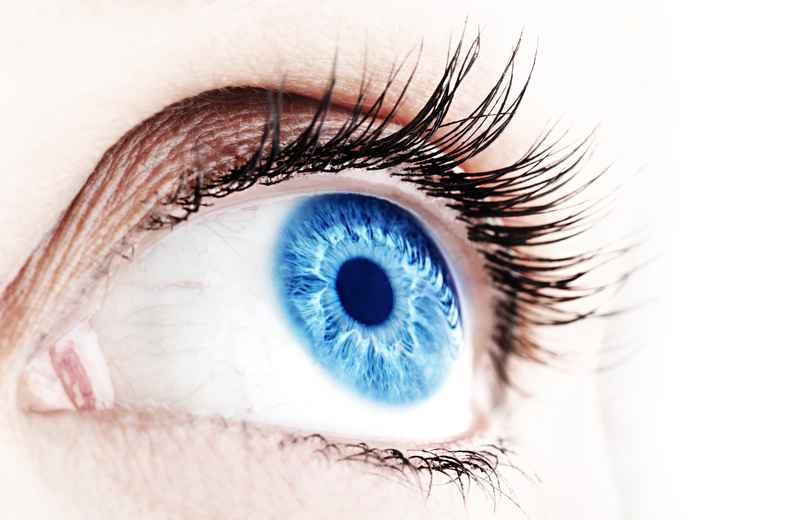 For example, blue and brown are the most common eye colors. If an infant’s mom has brown eyes, she may have one blue allele (recessive) and one brown allele (dominant). If the same infant’s dad has blue eyes, he may have two blue alleles (both recessive). The newborn, then, has a 50 percent chance of having blue eyes and a 50 percent chance of ending up with brown eyes. The most important determining factor is which dominant allele a child gets (if any), and what the secondary allele is. There’s no conclusive way to know your baby’s eye color for sure before they arrive (and even then, their blue may transform into a darker or different color over time). But it is enjoyable to try to predict. Here’s a fun eye color calculator you can try to at least nail down your child’s odds of getting a certain color! One thing is certain, though… whatever color your baby’s eyes end up, you’re sure to be enamored with them. Please contact us if you have any other eye-related questions, or would like to schedule an eye exam.